The Internet and media sources are awash with articles discussing the application of emerging blockchain technology across various industries such as insurance, food production, diamonds and other precious minerals, transportation, taxes, real estate, and banking – to name only a few. Numerous industry groups exist to shepherd the introduction of this technology on a broader scale and beyond the applications currently envisioned. Of particular interest is how this technology will usher in an era of blockchain contracts. What is blockchain? A true discussion on the nature of blockchain technology is beyond the scope of this article. Hundreds of articles and white papers written by such authors as international banking institutions (such as UBS), multinational insurers (Swiss Re), government entities (U.S. Federal Reserve Bank, the European Central Bank), and consulting firms (KPMG, Sapiens, McKinsey & Company) discuss and analyze the technology in full detail. As the Congressional Caucus puts it, blockchain is a “decentralized distributed ledger that is the main technology powering cryptocurrencies such as Bitcoin and Ethereum. By using math and cryptography, blockchain supplies a decentralized database of every transaction involving value. This creates a record of authenticity that is verifiable by a user community, increasing transparency and reducing fraud.” In essence, the technology allows everyone to work from the same electronic ledger, similar to a shared spreadsheet, but with the added benefit that all participants have equal ledger entries from start to finish. Each entry in the ledger, the blocks in the blockchain, are added to the more recent block, thereby forming the chain. Once a block is added to the chain, it becomes “immutable” or unchangeable – which can be a double-edged sword. The widespread majority of publications extol the expected benefits blockchain offers various industries, particularly in its ability to “increase transparency and reduce fraud” as Congress stated. The technology offers automatic execution of contract terms without human intervention, elimination of duplication of tasks, algorithmic based security yielding a virtual elimination of fraud, and redundancy of information via the distribution of the ledger. A review of these publications leaves a reader thinking – sounds great, but is it really all that it’s cracked up to be? We know that blockchain has its technological challenges, including the need for substantial computing power and its attendant power generation needs, the lack of adequate computer processing speeds causing cumbersome computational times, and delays in network data transmission rates. A full discussion of these tech challenges is beyond the scope of this article but their potential impact to a business’ adoption of blockchain is not inconsequential. the breach resulted in damages to the claimant. Courts are well steeped in resolving disputes over written contracts, including all the procedural requirements pertinent to that process of proving the existence of the contract and its relevant terms. How will courts handle disputes involving blockchain contracts which are computer code driven? One such issue is how are the blockchain contract’s terms presented to the court? If the parties did not memorialize in writing the electronic contract’s terms, one can easily envision that the process of proving the electronic contract’s terms will be cumbersome and require the witness testimony from the coders or programmers, all of which will drive up litigation costs and delay the process. Even if parties have a written memorialization of the blockchain contract, which version controls if a difference in terms arises between the written memorial and the blockchain contract? Will courts simply defer to the written memorialization even when the parties intended the blockchain to control? 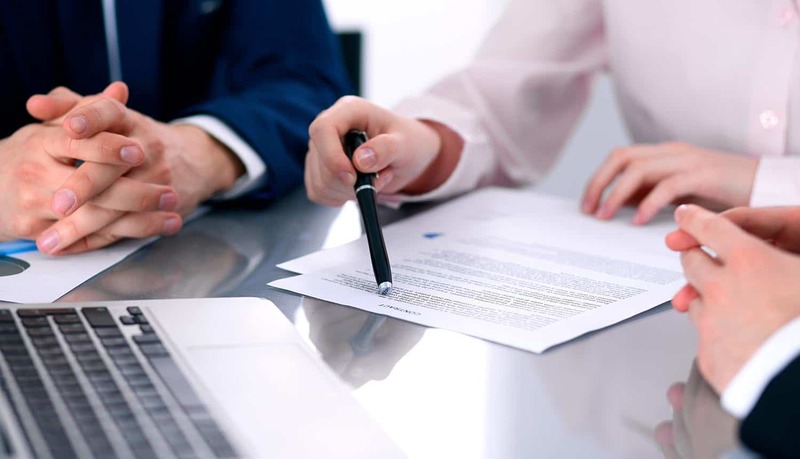 Again, meeting the legal standards necessary to prove a claim – or defend against one – are potentially time consuming which translates into increased legal costs and potentially increasing the uncertainty already present in contract dispute situations. Let’s assume the plaintiff is successful in convincing the court to move forward with the lawsuit and the case proceeds to trial. How are the blockchain contract’s terms presented during the course of the trial? Unlike a trial involving a written contract, in which the terms may be shown to the jury during witness testimony for everyone to read, presenting the terms of a blockchain contract to a jury poses new challenges for trial attorneys and their clients. One would expect very few jurors would have the ability to understand the code comprising the blockchain contract. Thus, trials involving such agreements are likely to require more technical testimony (i.e., by experts), further enhancing the legal expenses. Christopher Barth is a Partner in Locke Lord’s Chicago office with over 25 years of providing legal services. Christopher has represented clients across multiple industries, including commercial contract disputes, and has earned various awards and recognitions for his achievements.